Saying the need for health care outpaces Florida’s physician workforce, Rep. Cary Pigman on Tuesday swayed members of a House panel to approve a bill that would give advanced practice registered nurses — and physician assistants — the ability to work independently of doctors. The House Health Quality Subcommittee voted 10-3 to support the measure (HB 821), which drew opposition from physicians. Patients currently can get care from advanced practice registered nurses and physician assistants, who work alongside doctors and under contractual agreements with supervisory physicians. Initially, Pigman’s bill would have given the nurses the ability to work independently of physicians. Pigman, an emergency room physician, offered a 153-page amendment to the measure that added physician assistants to the bill, a move that made doctors, and some lawmakers, more uncomfortable with the measure. “I think I’m going to be up now, but I’m up, struggling up,” said Rep. Kimberly Daniels, D-Jacksonville. But Pigman, R-Avon Park, tried to assuage their concerns, saying that no data support the argument that advanced practice registered nurses and physician assistants provide lower-quality care. If they dare to be “snarky,” Pigman suggested that lawmakers ask whether doctors oppose the bill because it would give patients access to other health care professionals. The U.S. Department of Health and Human Services in December designated 7,026 primary-care health professional shortage areas. In Florida, there are 698 shortage areas for primary care, dental care and mental health. It will take 1,658 primary-care, 1,266 dental-care and 409 mental-health practitioners to eliminate the shortage areas. But Nikita Shah, a family medicine doctor in Orlando, told lawmakers that the proposed changes could bring harm to patients and that the system works best as it is today, with teams that include doctors and the other professionals. 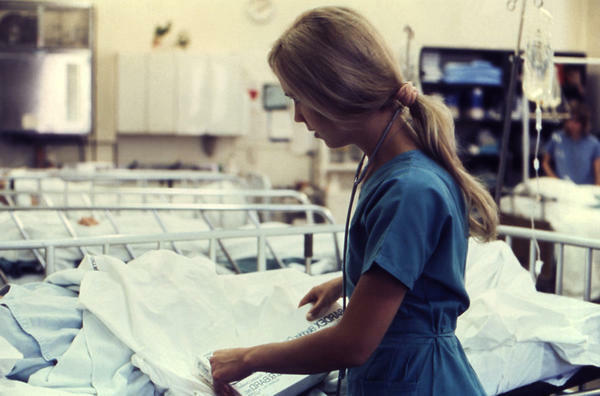 Shah said the changes could contribute to burnout for advanced practice registered nurses and physician assistants because they aren’t equipped to do what the law would allow. “Do you know how hard it is to be in a position that you are not equipped to care for?” she said. As amended, the bill would allow certain physician assistants and advanced practice registered nurses who haven’t been disciplined in the previous five years to work autonomously from doctors. They also would have to have at least 2,000 clinical practice hours within a three-year period and would be required to complete graduate-level courses in pharmacology. They also would be required to maintain professional liability coverage or an irrevocable letter of credit in the amount of $100,000 per claim, with a minimum aggregate availability of credit of not less than $300,000. Rep. Randy Fine, R-Palm Bay, said he disliked the so-called turf war bills that pitted medical professionals against each other. Ideally, the state should have more physicians but, despite investments in graduate medical education and residencies, the state still lags.